The Donnellys is based on Canada’s most infamous true story. A story that has grown in the telling with each generation since the events that shook the little village of Lucan in 1880 and caused a sensation around the world. Why did the god-fearing residents of a small pioneer town rise up one night and slaughter an entire family as they lay sleeping? Why did a veil of silence descend over the town, so that even though forty sets of footprints were found at the scene, nobody was ever convicted of the murders? And why has the code of silence lasted to this day? The play sets out to answer these questions, going back into the blood-feuds of old Ireland and tracing the passions and hatreds that fueled this deadly tragedy. The play was commissioned and dramaturged by Heinar Piller the Artistic Director of The Grand Theatre in London (Ontario, Canada), where it received its premiere. The drama broke the theatre’s 70-year-old box office records selling 99.69% of capacity in the historic 1100 seat former opera house – proving to be the most successful play in the theatre’s history. 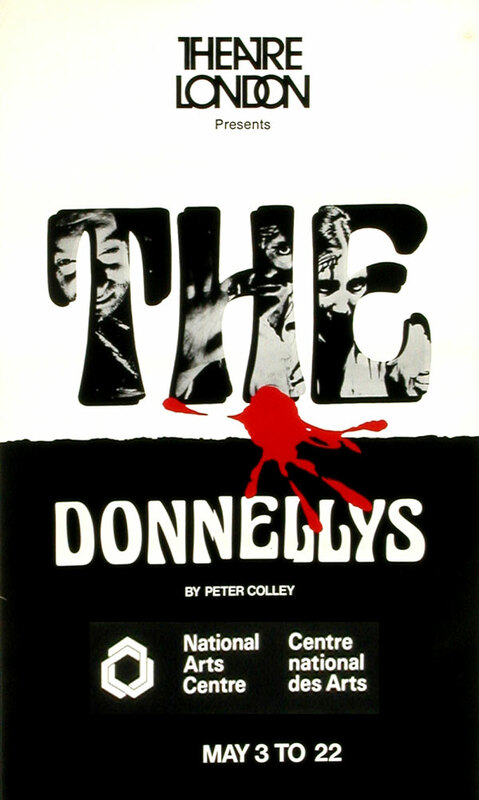 Almost 20,000 tickets were sold and 20,000 were turned away after the run sold out, despite an extension, so the play was remounted the following season and then transferred to The National Arts Centre in Ottawa where Mr. Colley was one of the youngest playwrights ever produced at Canada’s national theatre. In the first two years it was seen by over 50,000 people. Numerous productions across Canada followed. It was published by MacMillans (Anthology) and Simon& Pierre (now The Dundurn Press). It is required reading for certain schools and universities – a portion was filmed by TV Ontario for educational programming and also by Maclean Hunter Television. It has also been performed in the United States. In 2011 it received a major new production at Rep21 in North Bay and at Theatre Passe Muraille in Toronto, resulting in an updating of the text by the author, and new music. In 2013 there was a hit production at The Roxy in Owen Sound, where the show sold out and was extended – the first time the Roxy has extended a regular season show in 40 years.